This entry was posted in Residential and tagged Home Security on June 24, 2016 by Locksmith Sarasota. Security systems have evolved to the point that it’s possible to buy a camera that cannot immediately be recognized as a recording device. You can hide it in plain sight in your home. These types of devices have sleek, modern designs that make them appear similar to hi-tech speakers. A casual observer would not guess that they are, in fact, a type of input device for a method of keeping your home safe. These types of systems are self-contained, but they do require a constant source of power in order to run. You will need a USB cable for this purpose. Since they need constant power, you will have some limitations where to set up the camera. You can use your smartphone to sync coverage, which means you can monitor what is going on in your home from just about anywhere. If you want to check in on your home from the office, on your daily commute, while you are doing errands or any other time of day, you have the flexibility to do so at your convenience. To store the footage taken from the surveillance camera, all you need is a MicroSD card. The best place to aim the camera is toward the front door to your home or a main entry point. You can download monitoring apps for iOS or Android phones or tablets. You will need to enter your WiFi information into the app in order to have it create a timeline of events. This timeline will be trigger by movement in your home and whether it has seen a face that it “recognizes” before. When a recognition occurs, you will receive a facial recognition notification on your cell phone. Depending on the app, you may receive captured footage or a live feed. There will be a slight delay (usually a few seconds) from the time the activity is recorded to the time you receive the notification on your phone. The system is helpful, but it is not flawless. There is no battery backup available, for example. If the power to your home is cut, you will no longer have access to the camera. A burglar could cut the cord to the camera, and you would be left without this security measure. If you lose power to your home, then the system wouldn’t work either. 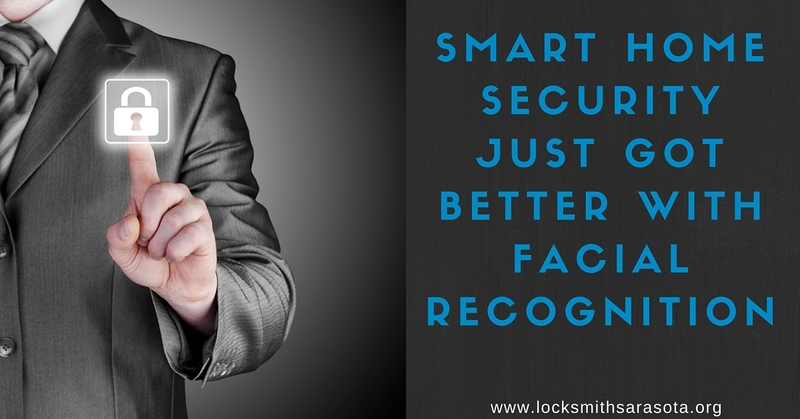 Although Locksmith Sarasota doesn’t offer facial recognition services. 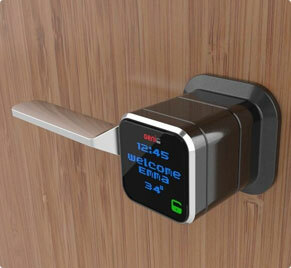 Check out Netatmo if your interested in adding this security to your home. We do offer a wide variety of quality home security services. To find out more about your options regarding a home security system, consult with a licensed locksmith. They can look at your needs and recommend a solution that is right for you.